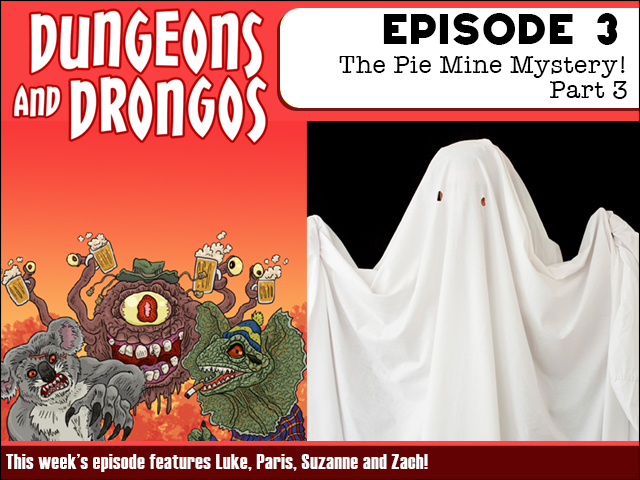 Fruitless Pursuits: Dungeons and Drongos Episode 3: The Pie Mine Mystery Part 3! Dungeons and Drongos Episode 3: The Pie Mine Mystery Part 3! By crikey it's the final part of our first adventure as our intrepid teams of stupid baby heroes delve deep into the cursed Pie Mine and solve this mystery once and for all! Who's behind it all? You'll have to listen to find out! It's Dungeons and Dragons Down Under as we play D and D in Fantasy Australia, mate! ou should SUBSCRIBE to us on iTunes - because we do this every week! And here is the RSS FEED. Half Hour History Episode 8: Dokkaebi!